In Vietnam, visitors will have a chance to not only enjoy numberless beauty spots that the nature has generously granted this country but also find out about both traditional and modern Vietnamese cultural backgrounds that are extremely plentiful. 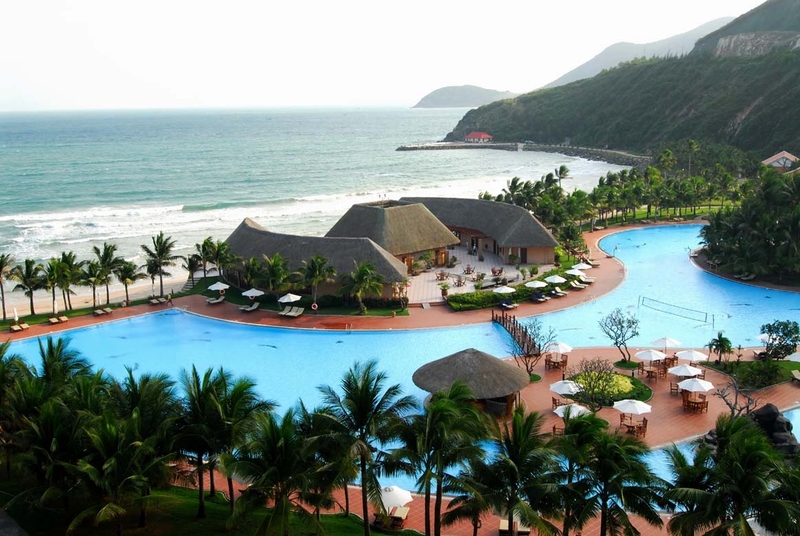 And, one of the most outstanding features of Vietnamese tourism is Nha Trang (Khanh Hoa). When you come to Nha Trang, it is as if you were lost in a wonderland. 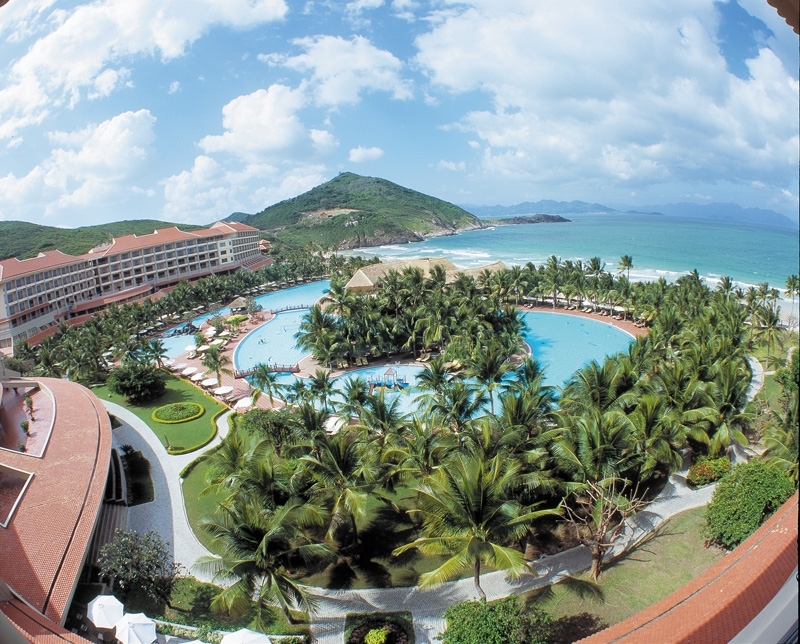 With the typical tropical climate, Nha Trang is brilliant with blue sea, white sand, beautiful sunlight. The beautiful and poetic sea tourism city is named “Brilliant flower basket on the bank of the East Sea, “Sunny deck”. It is not accidental that 100 years ago, the talented scientist Alexandere Yersin left splendid Paris for Nha Trang, where he stayed until his death. Nha Trang Bay is ranked as one of the most 30 beautiful bays in the world; as flowing across here, some sea currents suddenly blend with each other, which creates “the common home” for all beings to reside and grow. Nha Trang Bay is not only rich in natural resources, beauty spots but also closely linked to sea culture and unique cultural-tourist attractions… And the story of Nha Trang is now continued by the fame of Vinpearl Land, Vinpearl Resort & Spa, a sparkling pearl glued on the crown of the Sea Queen. After just 5 to 7 minutes traveling by motor-boat or 13 minutes enjoying Nha Trang’s panorama from Vinpearl telpher, which is the longest over-the-sea telpher in the world, visitors then set their foot on Vinpearl Land – The Vietnamese Pearl. Located in the North of Hon Tre Island, leaning on Dam Mong Mountain and towards Nha Trang Bay, Vinpearl Land is an international-class 5-star entertainment-tourism complex with all modern comforts; located in the middle of one of the most beautiful bays in the world. Vinpearl Land has both modern style and an enriched national character. The modern Western style is mainly used in the interior composition, service, operation…, meanwhile the traditional Eastern style here is found in curved roofs on the sky background, tile or hut with traditional hatch material, in the peaceful home-village space of Vietnam; it is an open space letting the outside natural environment pour in each moment. If you open the windows widely to welcome wind and lean on the balcony to watch the Sun rising up from the sea, you will feel the peace all surrounding and discover your own “open peaceful space”. Visitors in Vinpearl Land will stay in Vinpearl Resort and Spa 5-star hotel area. With 485 so beautifully designed rooms including 17 luxurious rooms and 2 Presidential Suites, the resort can satisfy the strictest visitors by bringing them comfort, privacy, convenience, and perfect services. Vinpearl Resort and Spa also includes a 700m long natural beach that is the most beautiful one in Nha Trang and the system of outdoor modern swimming pools which cover an area of 5,700m2 (the largest one in the Southeast Asia) and is arranged in the middle of a coconut garden, green grass, green tree garden… Besides, there are beauty and health care services in Viet Spa and other relaxing and tourist programs in combination with sports for all ages. A diversified system of restaurants will meet all your eating and drinking demands from typical Vietnamese flavour to other Asian and European one… You will also freely play and go shopping at the Vinpearl shopping quarters, Entertainment Park, Vinpearl Water Park, and Vinpearl Water Music Stage or discover the beauty of the ocean in splendid Vinpearl Underwater World. To meet the MICE tourist demands as well as to organise big events, Vinpearl Land also has an adequate system of meeting rooms, 1500-seats center for organising events and 5000-seats lean-to outdoor stage. Vinpearl Land has hosted scores of cultural – entertainment events, especially big beauty contests of Vietnam and the world such as Miss Vietnam, Miss World Vietnamese, Miss Earth, and Miss Universe. Vinpearl Land, where the Miss Universe 2008’s Gala Dinner took place.